Alan Schnoll has been admitted to practice law before courts throughout the Commonwealth of Pennsylvania since 1974. He is also admitted to practice before the United States District Court for the Eastern District of Pennsylvania. 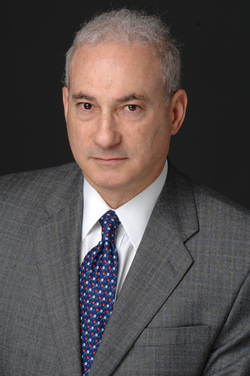 He attended law school at Temple University, Philadelphia, Pennsylvania and graduated with a Juris Doctor in 1974. Prior to law school, he attended Rutgers University in New Brunswick, New Jersey and graduated with a Bachelor of Arts in History in 1968. From 1968 to 1971 Alan Schnoll served in the United States Army. He was assigned to the 66th Military Intelligence Group, Munich, Germany. His Military Occupational Specialty was German Translator/Interpreter. He is a member of the Philadelphia Bar Association where he served as co-chair of the Compulsory Arbitration Committee. He is also a member of the Pennsylvania Association for Justice (formerly The Pennsylvania Trials Lawyers Association). He is currently or has been a member of The Philadelphia Trial Lawyers Association and The American Association for Justice (formerly the American Trial Lawyers Association). He has contributed articles to the online legal publication "Upon Further Review" and has published articles in local newspapers. Alan Schnoll is rated "AV" by Martindale-Hubbell. This is their highest rating for competency and integrity.